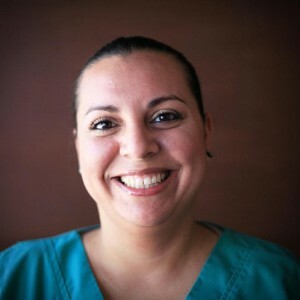 Samaritan Dental & Medical Group, the leader in providing high quality yet affordable dental care in Tijuana, Mexico, is located right next to San Diego, California making it the obvious choice for Americans who want to save hundreds or even thousands of dollars on different dental procedures. Nestled on the Mexican side of the US/Mexico boarder, we are equipped with the state-of-the-art facilities and the modern dental equipment. We also have the best dental professionals in the city to offer customers with top-notch dental services without charging an arm and leg. Samaritan Dental & Medical Group has built a stellar reputation for high quality dental work and is currently one of the leading dental clinics preferred by American customers. Aside from exceptional quality of our dental work, we also pride ourselves for offering Americans affordable prices that when compared to those in the United States are just ¼ of the total cost (sometimes even more). With the goal to give you that perfect smile without burning a hole in your pocket, we make every dental procedure including root canals, dentures, dental implants, crowns, bridges, and even cavity filling, exceptionally cheap. Jim Crayne is the Patient Coordinator for the dental clinics, and helps with the Medical patients as well. 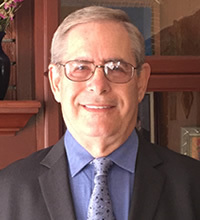 Jim is a US citizen, who has been working in Tijuana for the past 6 years, and has helped over 10,000 US patients find dental and medical care in Tijuana. 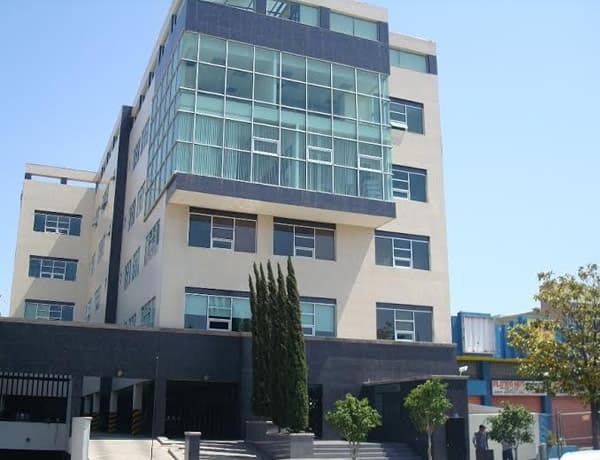 As an American himself, he best understands the special needs and concerns of patients who come from the US for dental and medical tourism, and promises to take good care of you here in Tijuana. If you have been meaning to get dental implants, root canal, or other dental procedures but simply can’t because the price is too high in the United States, you can trust Samaritan Dental & Medical Group to perform the required procedure for a very low cost. With our services, you don’t have to wait for months or years to save thousands of dollars – you can get back that perfect smile ASAP. 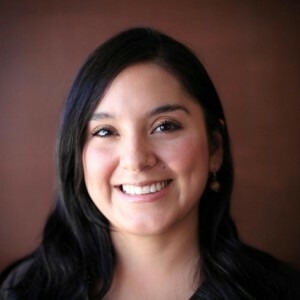 Tijuana, Mexico is fast becoming the center of dental tourism particularly for customers in the United States due to its close proximity to California, particularly San Diego. Most of our customers combine holiday or leisure when they visit our office for evaluation and check up. You can bring along your friends and family as we are very close to some of Mexico’s iconic attractions and great beaches. You can do some sightseeing while you wait for the procedures to be completed. Samaritan Dental & Medical Group will take care of everything for you when you choose to make us your dental partner. From booking your flight to arranging your transportation to and from the US/Mexico border, we can offer you expert advice and even insider tips. We also make the whole trip easier and convenient for you as we can provide transportation and offer tips on hotel reservations. We can even give you a list of all the must-see attractions that will entertain you and your family during your stay. Aside from making your trip as comfortable as possible, we will also make sure that you’ll be satisfied with our dental services with the help of our state-of-the-art facilities and highly professional dentists. Dental tourism is a growing industry not just in Mexico but also in other parts of the globe. Because of this, you actually have several choices as to what country you’ll get your dental procedures done. However, if you’re from the United States and if you’re worried about spending too much on your travel cost, going to Mexico, which is practically next door to San Diego is obviously a practical choice. By choosing Mexico, you’ll be able to save hundreds and thousands of dollars when compared to getting procedures done, say in Thailand and other Asian countries. The cost of dental procedures including lab tests and dental exams required to ensure uncomplicated dental implant surgery is generally just ¼ of the total cost when you decide to get these done in the United States. Some treatments that we offer are even cheaper. If you want to get an idea on how much you can save, let me give you an example. If you’re missing a tooth and decide to get dental implants, you are looking at spending an average of $2,250 in California. This price will double or multiply depending on the number of teeth that you’re missing. Here at Samaritan Dental & Medical Group, we only charge $795 for the surgical placement giving you about $1,500 savings for every one tooth. If you’re missing three, we can help you save up to $4,500. When taking into account your travel expenses including hotel and airfare, you’ll still find yourself saving hundreds if not thousands of dollars. Although our prices are unbelievably cheaper, we can guarantee you the quality of our workmanship is comparable to those offered in the United States; sometimes, even better! Also, compared to other popular dental tourism destinations, Mexico’s crime rate is significantly lower giving customers peace of mind that they’ll be safe here while getting their dental procedures completed. In fact, Tijuana, Mexico is considered safe than several big cities in the United States. 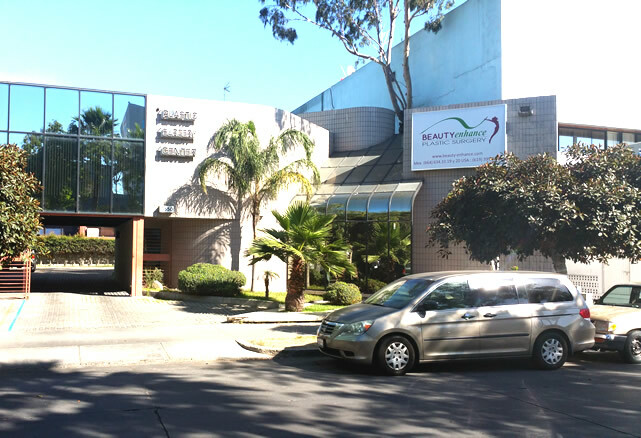 Samaritan Dental & Medical Group is located just across the border of San Diego; so close to the United States that residents of Southern California have the option to drive to our clinic or book cheap flights to our international airport. Aside from the fact that we are very close to the US/Mexico border, our clinic, which is located at the heart of the city, is also in close proximity to some of the country’s must-see attractions and beaches. That is why, we encourage our customers to hit two birds in one stone when they go here by taking a holiday with their family. You can spend one day for the procedure/s you require and spend the rest of your stay checking out the best things that Mexico has to offer. If you’re pressed for time, you can fly in the morning, have the procedure completed by afternoon, and fly back home in the night. It’s easy, it’s fast, and it’s economical. By now, you already know that Samaritan Dental & Medical Group offers more than just low prices; we also pride ourselves for being able to offer customers the highest quality when it comes to dental care. Our dentists, who boast years of solid experience and various certifications, are considered some of the best in this industry. In addition, our modern facilities and state-of-the-art equipment give you an assurance that we have what it takes to take care of all your needs. We also invest in making sure that we offer you with world-class customer service. Our friendly staff will take the time to answer all your questions so we can effectively help you make well-informed decision. The moment you call to inquire, you’ll immediately see the Samaritan Dental & Medical Group difference. Our friendly customer service representative will go the extra mile to provide you with all the answers to your questions. Unlike several dentists in the United States, we do not schedule any procedure without doing thorough oral examination. After which, we provide you with all the options available to you. You can count on us to inform you about each options benefits as well as disadvantages. Instead of suggesting procedures, we let you decide based on your preference, needs, and budget. 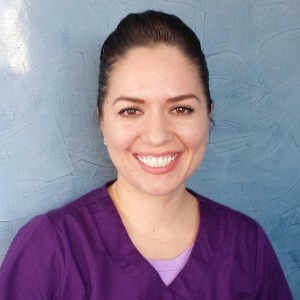 So, if you’re looking for San Diego – Mexico Border dentist for affordable dental implants in Mexico, come to Samaritan Dental & Medical Group where your satisfaction is fully guaranteed. Customers from the United States will just have to get to San Diego and then go to the border. We can take care of the rest for you. We will arrange your transportation to and from the border and to and from your hotel for your convenience and peace of mind. Samaritan Dental & Medical Group is also an advocate for Mexico’s growing dental tourism. For this reason, we strive to provide our customers with the best time of their lives when they decide to do business with us. To take the pressure off from you, you can let us make arrangements for your dental tourism visit. We can book the best hotel on your behalf and we can even help you with your itinerary so you can maximize your visit. If this is your first time to consider getting cosmetic dentistry procedure outside of the United States, know that Tijuana, Mexico is definitely your best option. All the dentists and staff at Samaritan Dental & Medical Group are considered some of the best in their fields. 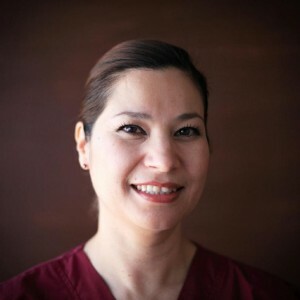 They are qualified, board certified, and experienced in the field of cosmetic dentistry. Also, Tijuana is right next to San Diego so you don’t have to worry about spending thousands of dollars on airfare. For the past 5 years, we have served thousands of Americans whose confidence was impaired by their teeth problems. Some customers were suffering from the embarrassment caused by having missing teeth or are hoping to achieve that perfect smile. With the help of our certified dentists that specializes in the field of cosmetic dentistry, we are able to help customers get their confidence back without burning a hole in their pocket. Samaritan Dental & Medical Group has been built with the sole purpose of providing affordable yet high quality dental services particularly to US customers who are being charged enormous amount of money in their country even for simple tooth extraction. It is our goal to give you as many options as possible without going over your budget. When you compare our prices to the amount that US dentists are charging you, you’ realize that we’re charging about 25% of what they bill you. With the current status of the economy, we are sure that saving money on just about anything can help you get your finances in order. The secret to our success is our unwavering commitment to provide customers with 100% satisfaction. From board certified doctors to materials manufactured from the United States; from high-tech facilities to our state-of-the-art dental equipment, we definitely have what it takes to offer you with world-class dental services. Hi, my name is Jose, and I’m from Phoenix, Arizona. I am an immigrant from Sao Paulo, Brazil. When I came to the United States more than 7 years ago, I only had one dream, and that was to provide well for my wife and my unborn child (she’s a big girl now). But because I didn’t have enough school credentials yet, I worked as a cashier in a supermarket while attending classes at night. When I graduated, I immediately applied for some jobs until I became a supervisor in a small local café. Everything was doing well until recession hit, and the café owner decided to close it down. Fortunately, I had some savings, so I put up a small business that sells beautifully printed shirts. Simply put, things were quite hard financially, but we’re able to get by until one day I suffered from a major toothache. I tried to suffer in silence, but it was too much to bear. I went to the dentist, and he discovered it was infected. I had to undergo a root canal procedure, he said. But for the procedure alone, I had to spend $1,000! I was trying to get a second and a third opinion, but the recommendation was still the same, and costs didn’t differ much either. So I dipped into our savings, no matter how hard it was for me, and spent close to $1,500 for everything. I was happy that I can already put that situation behind me. I considered that huge expense as part of a learning experience. However, two years after, I developed another toothache. I went to the same dentist who then suggested that I had it extracted and replaced with dentures. I thought, “Well, my parents didn’t have some good experience with dentures. Maybe you can give me a better alternative.” He then mentioned a bridge. I liked how it worked or explained to me, so I said go ahead. But again, it was horrendously expensive! That’s when my wife and I decided to look for alternatives until we found out about Samaritan Dental & Medical Group Dental Clinic in Tijuana, Mexico. You know, when you’re raised in Brazil, you’re not scared about anything, so all those stories about Mexico crime didn’t bother me. I just wanted to get over the tooth pain. That’s it. When I looked into their prices, I was so surprised. I thought, “Are these people real? Are these legitimate businesses?” Anyway, I made a call and talked to a dentist who recommended that I had to let the inflammation subside first. They mentioned about a medication I can take to hasten that. In less than 2 days, the pain was gone. I was then scheduled for a visit to the clinic. Less than a week, I arrived in Tijuana, had my tooth extracted, and the bridge attached. I spent roughly the same amount during my root canal, but it already covered everything I needed for the trip, including my stay in a hotel. I just felt incredibly grateful to Samaritan Dental & Medical Group because finally I found people who are willing to help me save more money for my family.